Every baseball player dreams of reaching the major leagues. From little league to high school to college, the ultimate goal remains the same: to hear your name called in the MLB draft and ascend to the major league level. However, unlike most American sports leagues, the MLB dream is not completed on the day of the draft. Those who are drafted in the first round of the NBA and NFL drafts are virtually guaranteed at least a year or two with their respective teams and play at the highest level in their first year. It’s unheard of for a first-round pick in the NBA and NFL to never don the team’s uniform for at least a single game. In baseball, though, the reality is much different. Only 73 percent of first-round picks in the MLB draft ever play a day in the major leagues, with the other 27 percent becoming career minor league players. Considering all rounds, only one in six players selected in the MLB draft will ever make it to the major league level, and one in 20 draftees will become “regulars,” or someone who plays for three years or more. Adding to the difficulty, once a baseball player reaches the big leagues, he cannot become a free agent and competitively negotiate a contract until six years have passed, potentially after the prime of his career. As such, although the MLB has become known for the mega-contracts of Alex Rodriguez, Albert Pujols and others, only about half (378 of 750 players) of the players make $2 million or more per season. The odds of becoming an established major leaguer are slim at best, even if a player is drafted. Yet despite the likely need for a career change, college degrees are rare finds among professional baseball players. According to the College Sport Research Institute, college baseball players graduate at rates 31.29 percent lower than the average male graduation rate. Pac-12 players, meanwhile, graduate at rates 44.3 percent lower than the Pac-12’s average male graduation rate. Additionally, only 4.3 percent of MLB players have a college degree. Despite the success of NCAA student-athletes graduating as a whole, college baseball remains troubled with graduation issues due to the fact that college baseball players can be drafted and leave after their junior years, similarly to in college football. Yet unlike football players, the baseball players that leave early after being drafted may never play a day in the big leagues. 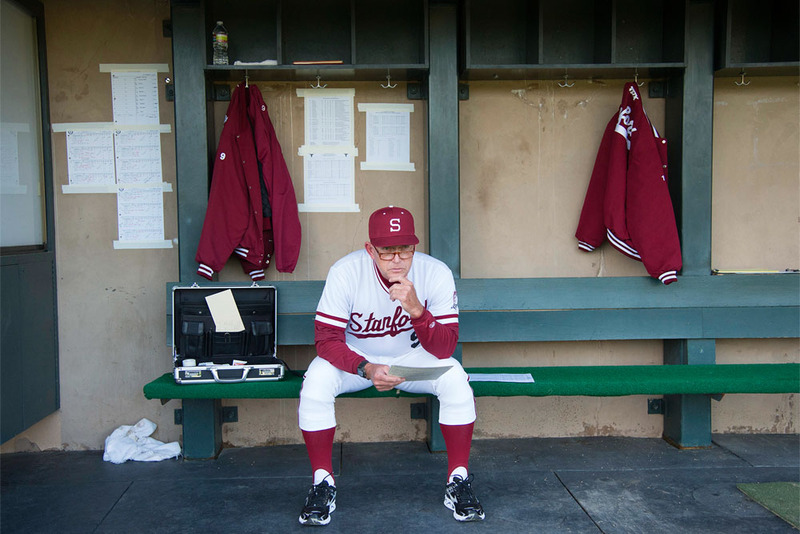 Over 20 years ago, Stanford baseball head coach Mark Marquess recognized that something needed to change. “The two guys where I really changed my theory were Jeffrey Hammonds and Ed Sprague,” Marquess shared. “Both were first-round picks and both were in the big leagues within a year and a half and both played for years in the big leagues, but both didn’t get their Stanford degrees because when you’re a position player and you go out and play in the summer, they want you to go to winter league or they want you to go to instructional ball and they pay you a million dollars so you can’t say no. “All of a sudden you never get a chance to go back to school and you’re in the big leagues, you’ve made a lot of money, so you don’t really need [the degree], but I said, ‘what a sin that you go there for three years and you don’t get your Stanford degree,’” he added. Hammonds, the fourth overall pick in the 1992 Draft by the Baltimore Orioles and recent Stanford Hall of Fame inductee, and Sprague, the 25th overall pick in the 1988 Draft by the Toronto Blue Jays, both defied the odds and lasted past their first six years in the major leagues and were able to negotiate free-agent contracts. A .272 lifetime hitter with 110 home runs over his 13-year career, Hammonds made more than enough money to provide for himself and his family. Similarly, Sprague’s 11-year career saw him hit 152 home runs. But when their careers ended in their mid-to-late 30s, what came next? Indeed, Hammonds returned to Stanford and earned his degree over a decade after he originally attended the university, but not without obstacles. Not only was he years removed from taking classes, but he had a family to care for. In the 1990s, Marquess began talks with Stanford’s athletic advisors to determine what could be done to prevent Hammonds’ situation from reoccurring and to help players get their college degrees even if they chose to leave after their junior seasons. A plan was quickly struck that consisted of Stanford baseball players taking an extra class during their fall or winter quarters, or both, to get ahead. That way, by the time their junior year ended, baseball players would be at least a quarter ahead and would only need two more quarters, at most, to complete their degrees. This plan has been in action ever since. Marquess’ academic strategy has been wildly successful since it was initially instituted. 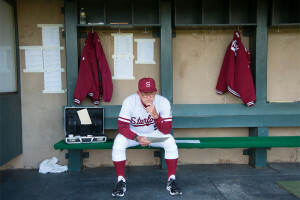 Every Stanford baseball player is required to be at least a quarter ahead by the end of his junior year, leaving only two quarters left to complete his degree. If a player then leaves after his junior year for the MLB draft, which has become a common trend throughout college baseball, the amount of classes left to earn his degree would be cut down by at least an entire quarter. This is a significant amount to a professional baseball player when the fall and winter are so valuable for instructional offseason baseball that might be required for minor leaguers and the spring and summer coincide with baseball season. It’s nearly impossible to fit more than one quarter in per year for a professional baseball player — even one quarter may be difficult — so cutting down the number of quarters required by one helps players earn their degrees at least a year sooner. Although Castro left Stanford after being drafted with the 10th overall pick in the 2008 Draft by the Astros, he never forgot about his earning his degree. He was only 25 units away from completion, and despite successfully making it to the major leagues, he came back twice to complete a quarter in the fall, officially earning his degree in Sociology this past December and entering the ranks of the 4.3 percent of MLB players with a college degree. Similarly, former Stanford baseball players Drew Storen and Austin Wilson have been seen on campus recently as they returned to complete their degrees. Former Cardinal players that left school a year early for baseball continue to flock back to school to earn their degrees, thanks in large part to the fact that fall quarter generally aligns with the baseball offseason. Even for the juniors that choose to stay for their senior year, it provides a nice little bonus for senior year — a spring quarter full of baseball and with no classes. Current seniors Brant Whiting, A.J. Vanegas and Brett Michael Doran graduated after winter quarter and enjoyed the ideal senior spring this quarter. While other schools across the nation try to ease the academic loads athletes face, Marquess instead chooses to prioritize both academics and athletics, refusing to compromise the baseball players’ futures for the sake of baseball. “As I tell the parents, I don’t know if they’ll be a major league player for 15 years, but I do know they’ll get their Stanford degree,” Marquess said. The process of spurring players towards an early graduation begins before they even step foot on campus. “When you’re getting recruited here, [Marquess] makes it clear that he expects all of us to be at least a quarter ahead, some of us two quarters ahead,” Slater said. “To have people around you who are trying to help guide you in the right direction and making sure you are doing the right things to be successful, that was a huge help right off the bat,” Castro added. Unlike some programs that encourage baseball players to take easier classes, Marquess doesn’t restrict the majors of his players, claiming that the idea that a student-athlete can’t major in a specific area because he plays baseball “is ridiculous.” In fact, many of his current players are majoring in human biology or engineering. That includes senior Danny Diekroeger and junior Luke Pappas, who are both majoring in computer science and boast a 3.8 GPA and a 4.0 GPA, respectively. The extra classes come at a cost — not for the players, but for the coaches. Marquess readily admits that it is impossible to have players take so many units and also get them all out on the baseball field in the afternoon at the same time. There is not a day during the week in which every player can make a 2:30 or 3:30 afternoon practice because of class. Instead, the coaching staff works individually with players on their own schedule, sacrificing more of their time so that the students can shape their athletic commitments around academics, and not the other way around. “I love when they were talking about 8:30 classes and all the undergrads went fruitcake, saying ‘are you kidding me?’ You know, it’s hard when you don’t have 8 o’clock class to get it in and to do the sport,” said Marquess about the inability to bring all the players together at once. Of course, a common worry surrounding the program is whether the extra classes burden the players too much and prevent them from playing their best baseball during their time at Stanford. Twenty-unit quarters are no easy task, whether the student is an athlete or not. To counter the added load, Marquess and the athletic advisors generally recommend that baseball players take an extra class that isn’t in their major and can be taken pass-fail. The multiple College World Series appearances since the new academic requirements were implemented prove that the academic load doesn’t stop student-athletes from excelling on the baseball field as well. The academic support provided by Marquess and the Stanford baseball program doesn’t end with the additional requirements, either. 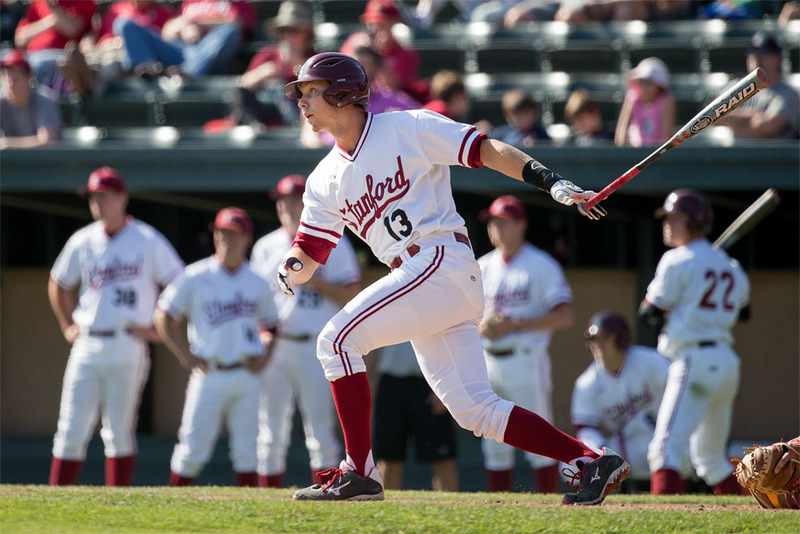 In the fall of 2013, former Stanford baseball pitcher Mark Romanczuk decided to start an alumni mentorship program for the current student-athletes of Stanford baseball that was readily approved by Marquess. 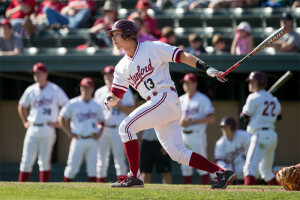 Romanczuk, who ranks sixth all-time in Stanford history with 28 career wins, had been a beneficiary of Marquess’ academic approach as he returned to the Farm in 2006 and graduated with a degree in economics after leaving Stanford to sign with the Arizona Diamondbacks following his junior season in 2005. After playing four years of minor league baseball, Romanczuk transitioned from professional baseball to the world of finance in 2009 and faced several challenges along the way. Throughout the process, he noted how beneficial it would have been to have someone who had gone through the same situations before to guide him. His journey inspired him to help current Cardinal baseball players become prepared for the situations they will face after Stanford. “With so many talented Stanford student-athletes who have excelled in careers post-professional sports, I recognized the value of creating a platform to connect current Stanford baseball players with former student-athletes in their targeted post-athletics careers,” Romanczuk said. What started from the experiences of one former player and current Goldman Sachs employee has now developed into a program that matches any interested Stanford baseball player with a Stanford baseball alumnus in the same academic field. The alumnus can help guide the player as he prepares for both a potential baseball career and a future career in the workforce by providing academic advice, helping find offseason internships and molding a better resume. For professional baseball players, staying connected and keeping a resume up to date can mean the difference between having a job in a few years and being unemployed should their baseball careers not pan out. Romanczuk, the mentors and Marquess all hope that the program provides connections and insight that will keep players thinking about their post-baseball lives during their careers and land the players jobs once their careers end. Marquess has coached the Cardinal to 14 College World Series appearances, two national championships and 1,525 wins in his 38 years at the helm of Stanford baseball, while winning three NCAA Coach of the Year awards, nine Pac-10 Coach of the Year awards and even a gold medal at the 1988 Olympics as head coach of the USA Olympic baseball team. Yet his legacy might be more defined by another stat: Of the 56 former student-athletes he has coached that have reached the MLB, 48 have earned their college degrees. In a world in which only 4.3 percent of MLB players have college degrees, 86 percent of Marquess’ former players that reached the MLB have their college degree. It’s extremely difficult to reach the major leagues in baseball — as a career minor leaguer who never reached the majors himself, Marquess knows that. With that in mind, Marquess has created a powerhouse program that not only succeeds on the field each year, but prepares players for any situation they might face after their Stanford careers — on or off the baseball field. Regardless of how their professional careers turn out and when they choose to leave Stanford, Cardinal baseball players can look forward to a bright future thanks to Marquess and the program he has established. “The good thing about the Stanford family is that everybody out there wants to help,” Marquess said. There may be no one who wants to help more than Marquess himself.